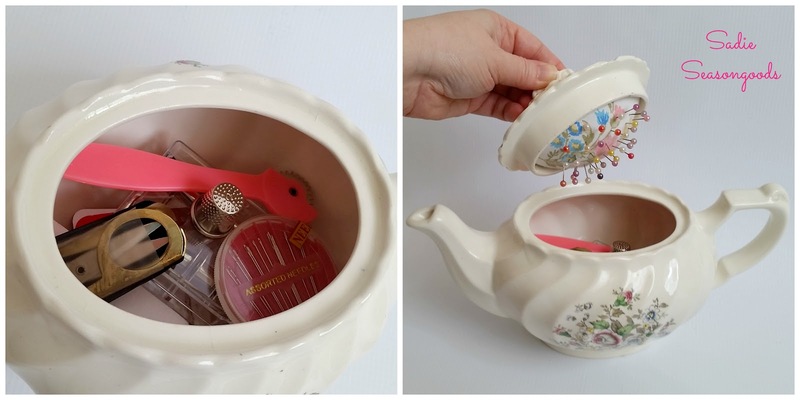 Wonderful Tea Pot Craft Now Why Did I Not Think Of This? 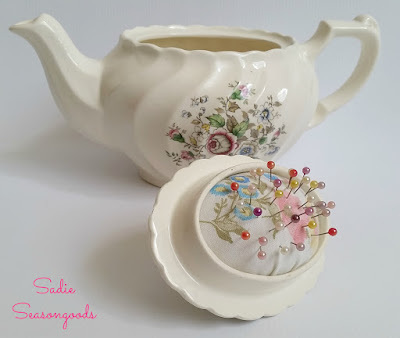 A friend just told me about Sadie Seasongoods and this amazing tea craft that has me wondering why I did not think of doing this. 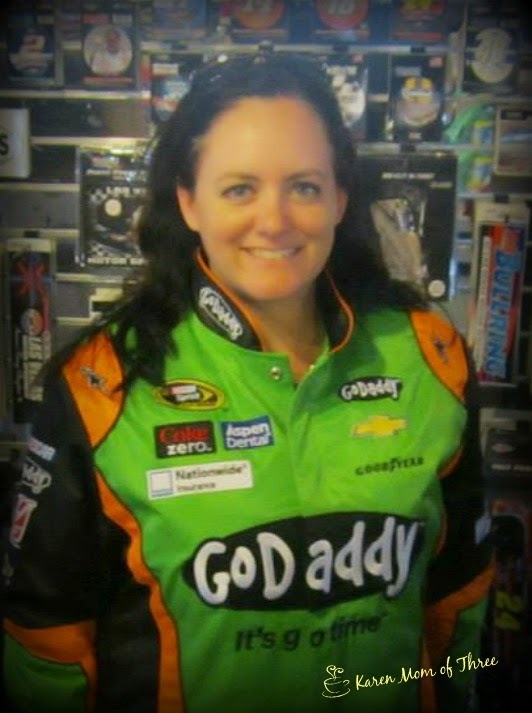 So I am sharing the link to this amazing craft and website. Thank you for joining me today for this tea craft and a quick sip of tea. This week on my table and in my cup I enjoyed so many lovely new teas but my favorite is the Wild Strawberry Green Tea my sister in law bought me at Neverland Tea Salon. 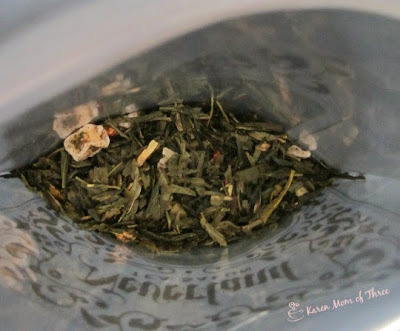 This green tea is so refreshing hot or cold and really does taste like you are eating a freshly picked basket of strawberries. Neverland Tea Website can be viewed by clicking here and it is my understanding that you may soon be able to order their loose leaf tea shortly! 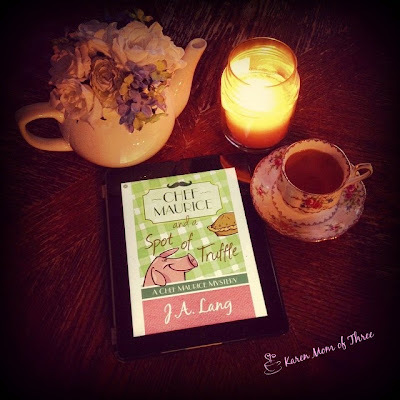 Monday new cozy on my Kindle App Chef Maurice and A Spot of Truffle by J. A. Lang. 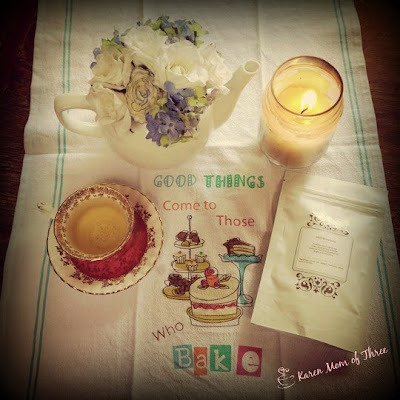 In my cup Paris tea by Adorabelle Tea Room. 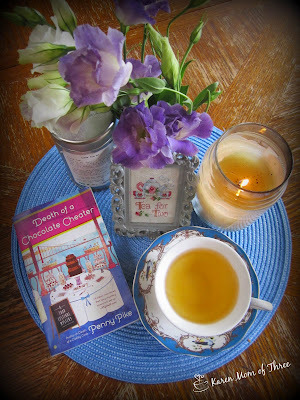 A few stolen moments of peace this week and my favorite tea moment and photo from my table this week has to be this one. 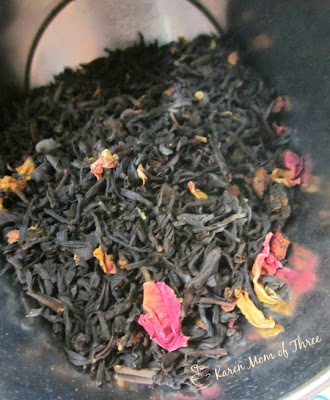 I was anxiously awaiting each sip of this Heavenly Creme tea from Neverland Tea Salon. Sleepless nights with the cats since a raccoon stopped by one evening for dinner at their dishes in our kitchen...Nocturnal animals and hot late spring evenings with open windows is a disaster waiting to happen here on the West Coast. 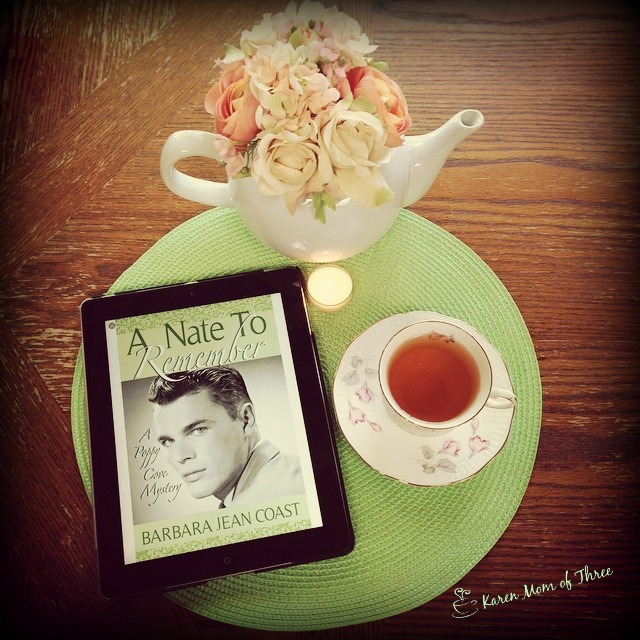 Thrilled to receive A Nate to Remember by Barbara Jean Coast...fun interview coming up early next week to share with all of you. I am working on my June Bookmark an Cup of tea give away, with a little help from Squirrel. I will draw May's winner Tomorrow and announce June's give away on Monday. Thank you for joining me for this week in review some wonderful reads on my table and some fantastic teas. I can not wait to share more with you again soon. I picked up four new teas while I was at Vancouver's Neverland Tea Salon and one of those teas I wish to share and review with you today. I am normally a black tea enthusiast and rarely find a green tea I feel is full enough flavored to peak my interest. This Wild Strawberry Green Tea however was a complete surprise. 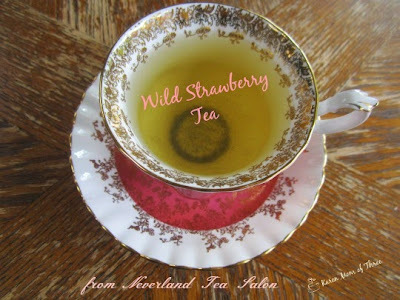 When I went for afternoon tea, Wild Strawberry was the tea of the day and while we waited to be seated I was offered a hot tea sample of this marvelous green tea. One sip of this green tea and I was transported to those carefree summers of my childhood. You remember those hot summer days when the smell of fresh cut grass and the allure of strawberries growing in the back yard pot. This tea served hot tastes like that perfect strawberry warmed by the sun that you pick and pop in your mouth with out a second thought. With each sip the flavor intensified and had me reaching for more. When we were seated and I was asked which tea I wanted to start with I choose to have a pot of Wild Strawberry tea. It is so refreshing and holds it's flavor even when served cold. This is one of my most favorite green teas of all time. This tea would pair nicely with dessert and is fantastic as an afternoon tea. Light, refreshing and the perfect taste of summer. 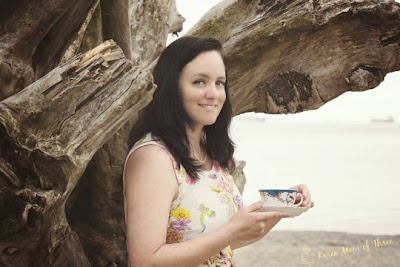 If you find yourself in Vancouver I highly recommend stopping by Neverland Tea Salon you can visit their website by clicking here. Thank you for joining me for this amazing cup of tea. 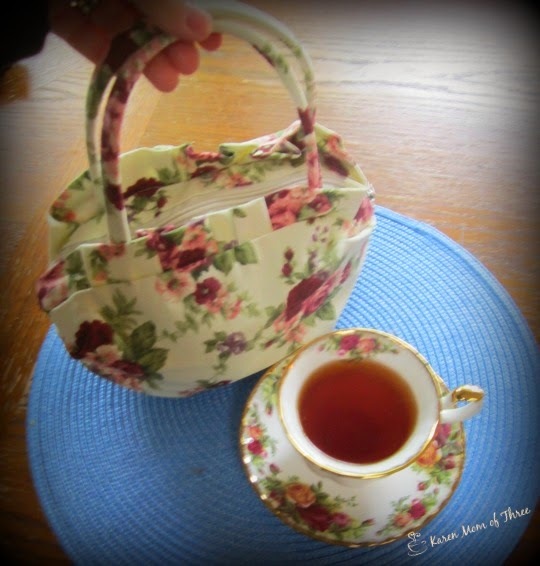 I will be traveling this summer and the thought of leaving home with out a proper teapot and tea cup for two weeks gives me heart palpitations. Likely the reason I don not camp. So I was looking for a way I could transport a small tea pot for our two week road trip this summer and came up with something that will serve a duel purpose and be super stylish at the same time! 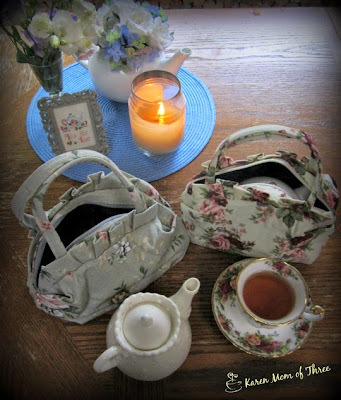 I ordered two small handbags that will work as an evening bag for the wedding we are going to and will easily carry my small teapot for the trip. Try as I might, I don't love making tea in a mug and I don't love brewing it in my metal thermos either. 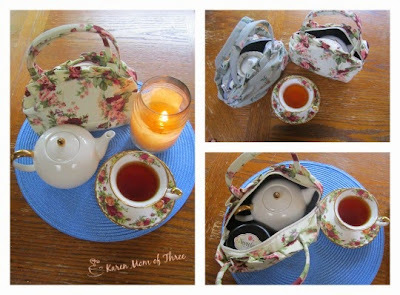 These little bags fit a small tea pot and one small 50 gram tin of tea easily. I may have to bring both and wrap a teacup an saucer up in the other for traveling purposes. These were a great deal and I ordered them on Ebay for just under $5.50 Canadian you can view them on line by clicking here. I am thrilled with my order and I know these little bags are going to be the envy of my nieces. Thank you for joining me for a cup of tea and my tea time find. 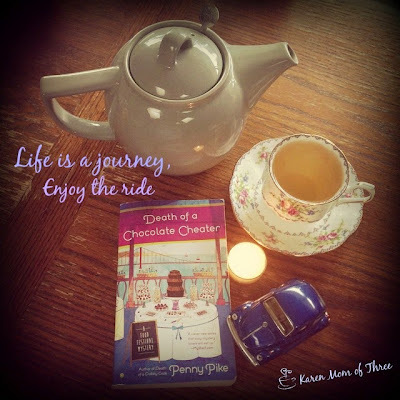 I have had a few questions on Facebook this week about what tea I was paring with my Chocolate themed cozy Death of a Chocolate Cheater by Penny Pike. Today I share one a review of one of my most favorite chocolate flavored teas from David's Tea called I love Tea #7. 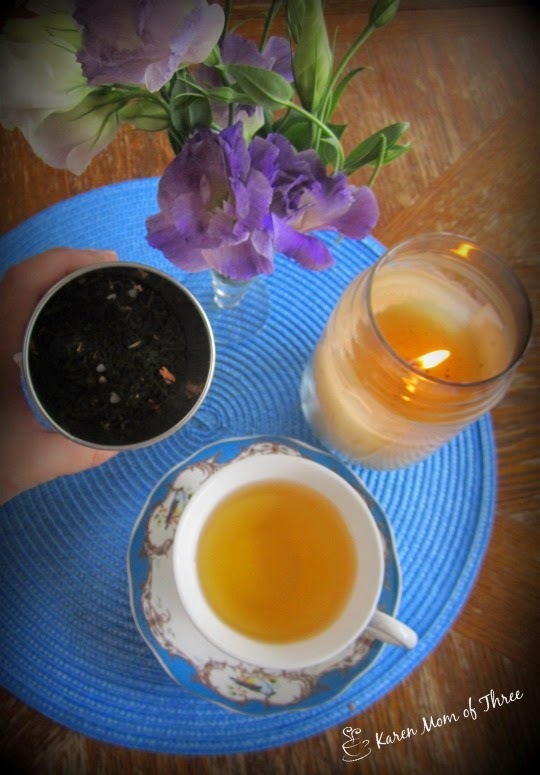 I love tea #7 as it is called is a black tea containing mini chocolate chips, rose petals, strawberries and vanilla. This is a tea I drink year round and love its delicate flavor with hints of rose and chocolate covered strawberries this tea is a great evening tea if you are someone who can handle caffeine and still sleep at night like me, otherwise this is a great tea to get through that 3 pm craving time. You can find I love tea #7 on line at Davids tea by clicking here. To find a copy of Penny Pike's Death of a Chocolate Cheater out June 2nd please click here. Thank you for joining me for a great cup of chocolate tea and a cozy mystery! 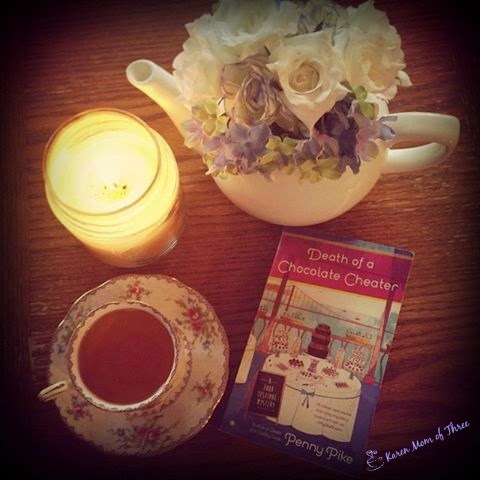 I was sent Death of A Chocolate Cheater to read and review by Penny Pike last week. What a delightful and delicious read. 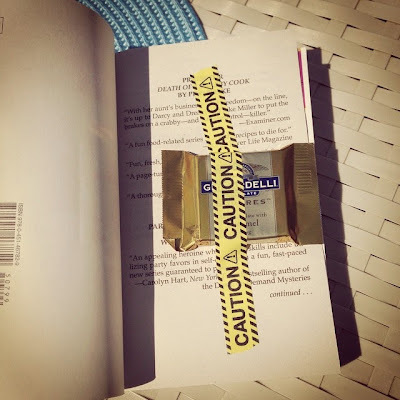 I was thrilled to be asked to read it and pleasantly surprised by what I found with in the pages of the book, and I don't just mean the chocolate that Penny taped inside the front cover, though that was truly a wonderful surprise. 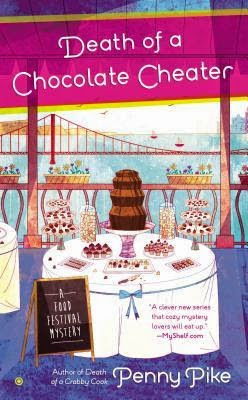 This was the first book in Penny's A Food Festival Mystery that I have read and even though it is the second book in the series I thought it was a great stand alone book. I really enjoyed all the food references and found myself salivating at her recipe suggestions. I was hopping all along that she might include some of the recipes for the wonderful chocolate items she mentions in the book and Penny did not disappoint. They are all there at the end of the book. With all the wonderful food happenings in this book I must not forget to include that this really is a murder mystery as much as it is a foodies fantasy! 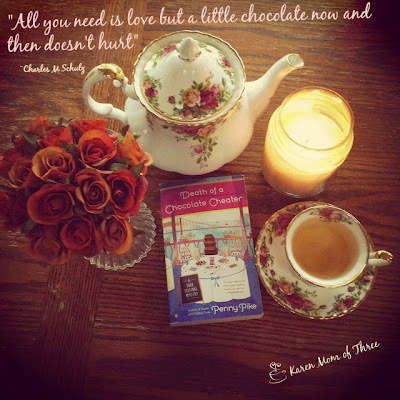 Main character Darcy finds herself surrounded by some very talented chefs, all of whom have more then amazing recipes for the Chocolate festival up their sleeves. Each one has motive and opportunity for murder. Darcy with the help of her Aunt Abby, Genius cousin Dillon and love interest Jake, help her Aunt's Boyfriend catch the real killer. I enjoyed this cozy and some really wonderful chocolate tea. I have only two complaints about this book, the first is that Basil the Long Haired Doxie was not more apart of the story and that the pages were not scratch and sniff. Honestly it was as hard to find fault in this cozy as it was for me to figure out who the real killer was. To order your own copy of Death of A Chocolate Cheater (which I highly recommend) please click here. Today I wanted to share a quick and easy felt tea cozy I put together last week for my new small tea pot. Using items of felt I had on hand. I thought I would share this simple idea with you today. 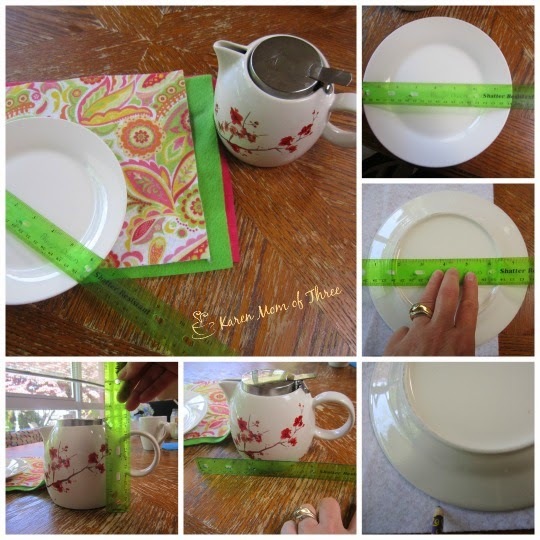 Step 1- Measure your tea pot's height and length. Next measure your dinner plate. Use your dinner plate as a guide for drawing your pattern on the back of the felt as shown, using the measurements you got from your tea pot. Step 2-Cut out 4 pieces of felt as shown in the photos above. Step 3- Using your sewing machine top stitch the felt alining the sides as you go, stitch from the bottom 6 inches. Repeat on all four sides. Step 4- Place the cozy over the top of your tea pot and pinch the top side together and then stitch the top closed as shown in the photos above. 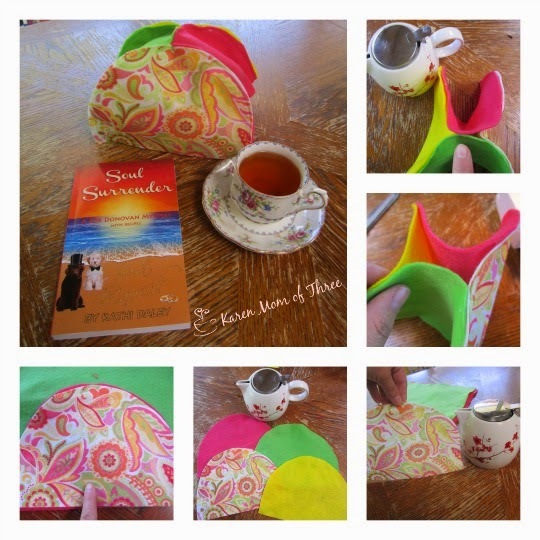 Your tea cozy will be lightweight and easy to use for summer. As it is not lined it will not keep your tea as hot but it will be functional for the short time it takes to drain your pot! 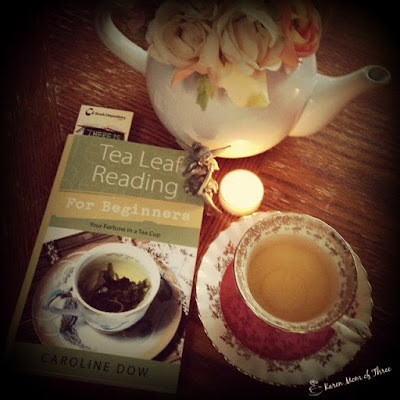 Thank you for joining me for for a quick tea craft and a cozy mystery. Last Sunday I went to afternoon tea with my mother in law, aunt in law and two sister in laws at Vancouver's Neverland Tea Salon. 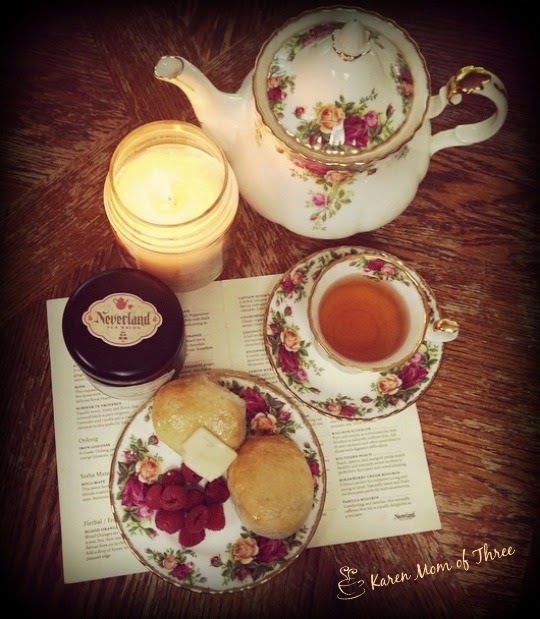 Neverland Tea Salon is nestled along quaint shops on West Broadway minutes from down town Vancouver. My sister in law Janeen suggest this tea room and I have had their tea in the past but had not dined in their tea room. It was a wonderful place to celebrate 3 family birthdays at once! This was a very full tea tray each level held undeniably delectable treats, I have never left a tea room feeling as full as I did! 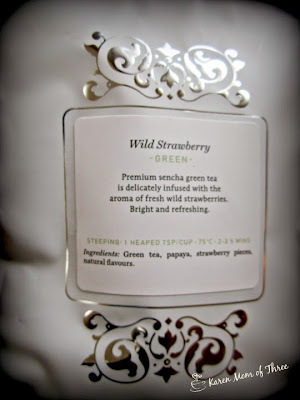 The tea of the day special is what I had in my first pot of tea, Wild Strawberry, a green sencha tea that was light and full flavored, would be equally delightful iced. I very much enjoyed this tea. My second pot of tea was a Darjeeling tea called Margaret's Hope it was a very strong robust Darjeeling and went well with the tea sandwiches and savory items. The selection of vintage tea cups used in the tea room are as exciting as each tea we tried. The staff were kept so very busy in this tea room but were attentive, well educated and kind. Our table never lacked for anything. I highly recommend Neverland Tea Salon and can not wait to go back. I did not leave empty handed and brought home 4 of their teas to try I can not wait to share some of the reviews of these teas in the coming days. If you are lucky enough to live in the Vancouver area or are heading this way this summer you will not want to miss Neverland Tea Salon. Click here for their website. 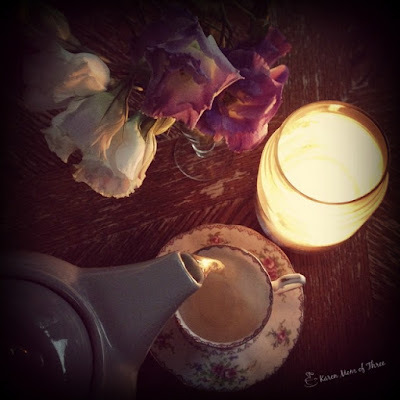 Thank you for joining me for A Cup of Tea and A Tea Salon Review I look forward to sharing more tea moments with you soon. 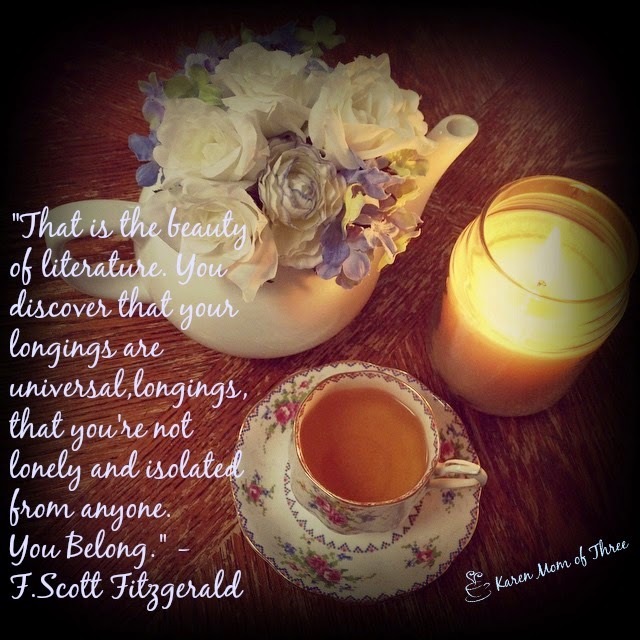 I started my Saturday morning last week with this quote by F. Scott Fitzgerald. 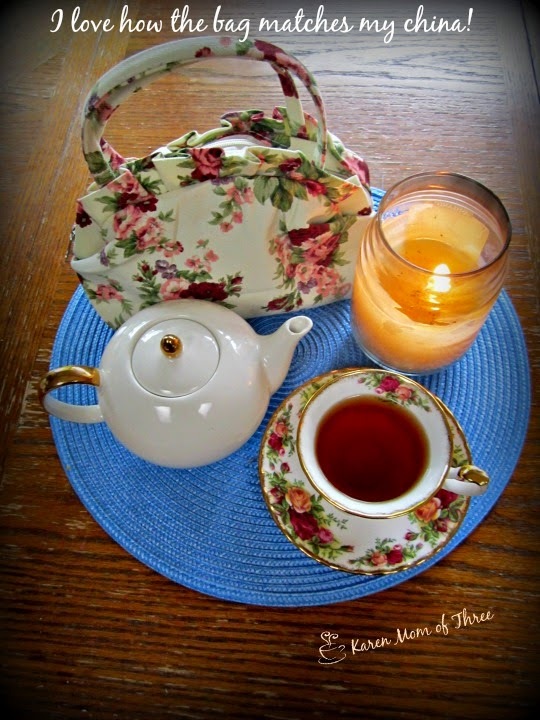 I find great comfort in it and in my morning ritual of tea and light. It is something I really started for just myself and I am thrilled that others have taken to enjoying my daily posts on Instagram and Facebook. I was "late to the table" when it came to reading for those of you who do not know I have struggled with and continue to struggle with Dyslexia for my entire life. I was unable to read and retain information I had just read until I was in my 20's and only in my mid 20's did I find that comfort and belonging with in the pages of cozy mystery books. So I ask your forgiveness now and in the future with my writing and while I work on my grammar and with the things I am trying to say. If you look closely at my photos you will find my true words. I have always been a visual learner. I hope and I feel the messages in my photos convey and transcend the words I sometimes struggle to get out. New on my table this week Killing Weeds by Joyce and Jim Lavene. Peggy Lee works to defend her son from a murder charge after a woman is found dead wearing a fur coat laced with botanical poisons sold in her shop....family mysteries don't you just love them! I can not wait to read this one. 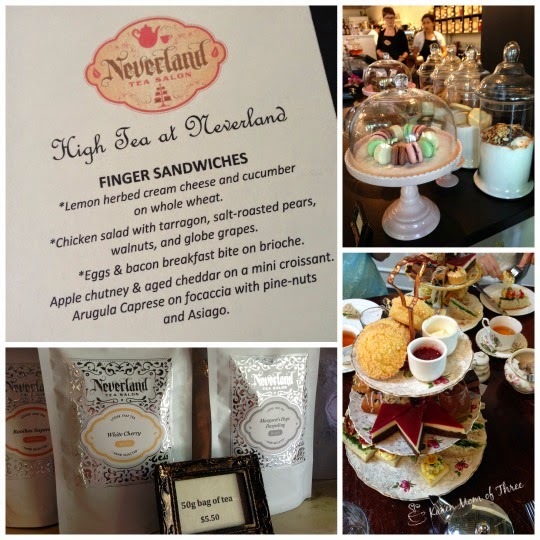 I visited Neverland Tea Salon in Vancouver on Sunday and had a lovely time. I brought home some fantastic tea and started my Monday with their Heavenly Cream Black tea. 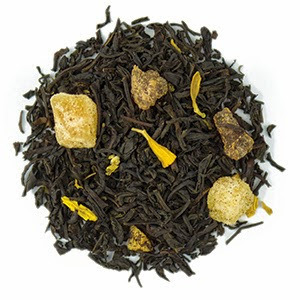 It is a smooth and velvety black tea with hints of vanilla and a touch of bergamont. Thank goodness this tea room is only about 30 mins from my home I am going to have to go by more shortly, I brought home 50 grams when clearly I should have brought home 100! Delightful tea room and delightful tea. A quick and wonderful read graced my table briefly as I devoured Buried by Buttercups by Joyce and Jim Lavene. This is a great read and an interesting series. I do believe the best recipe and treat on my table this week has to be my Peach Cobbler Recipe to go along with the wonderful new series by Susan Furlong, Peaches and Scream is out in July, my recipe however is ready anytime by clicking here. On Wednesday Death of a Chocolate Cheater Arrived at my door with chocolate taped inside. I have not read this series before so I was looking forward to reading it, when it arrived with chocolate, I moved it to the top of the too be read pile. 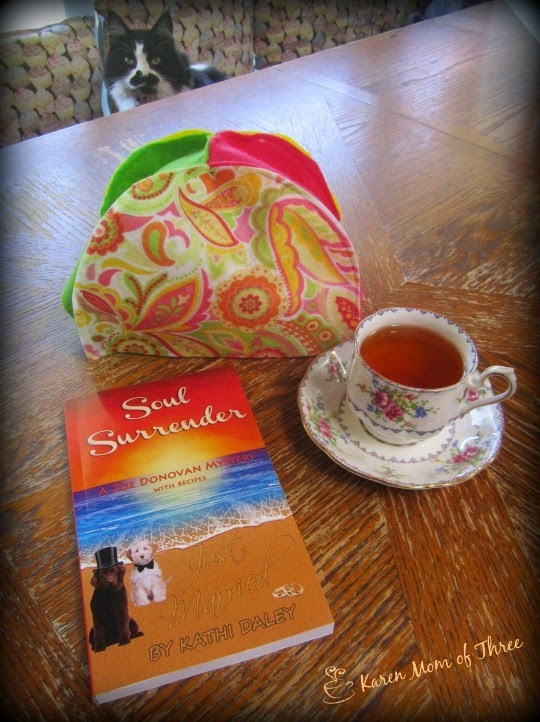 In my mailbox and on my table Thursday came Kathi Daley's Soul Surrender, inside fun to find my recipe for Carrot and Ginger Soup. You can order your own copy for kindle by clicking here. I have so much to be thankful for this week and happily new teas to enjoy with these wonderful new cozies! Buried By Buttercups A "Bonny" Botany Mystery. 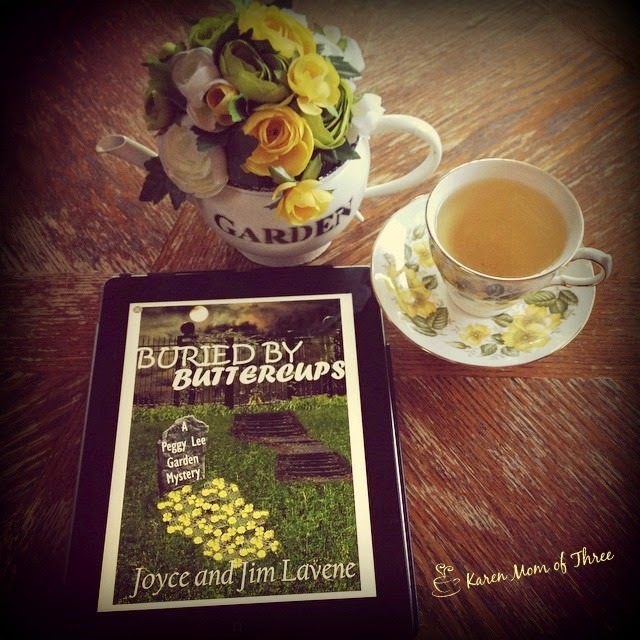 I finished Buried by Buttercups by Joyce and Jim Lavene on Tuesday, I started it on Monday night and I read it quite by accident. Some how though it was the perfect book at the perfect time. It even matched my china! 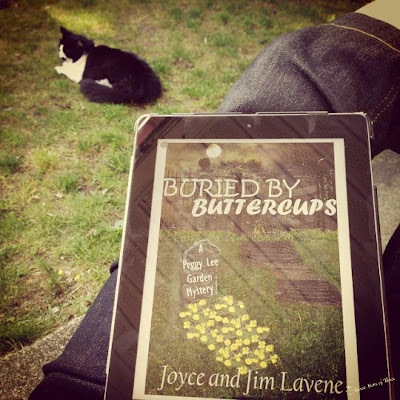 I was actually going to read another Joyce and Jim Lavene book which was on my kindle app but only after looking at the cover photo in my morning tea photo did I realize it was not the book I thought it was. I was 4 chapters in and already hooked so I kept reading. 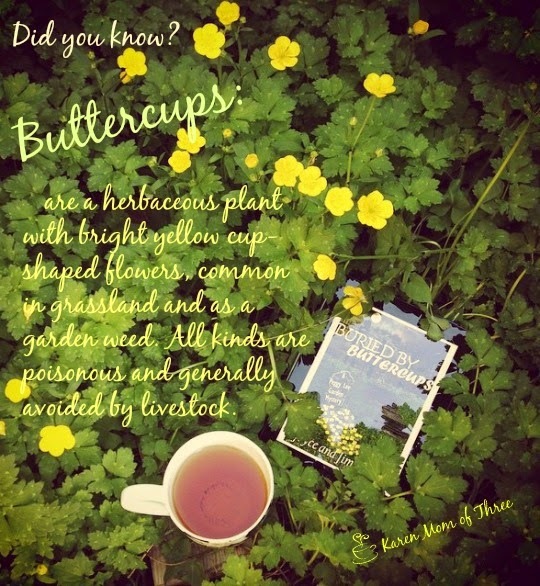 Did you know that butter cups were poisons? I had no idea! I actually felt like I learned a lot by reading this book. My paternal grandmother loved the science of Botany, I imagine that the main Character Peggy and she would have gotten along famously. This was my first Peggy Lee Mystery and I really enjoyed it. I am anxious to read another. The story is smooth and easy to read, easy to imagine and I think would make an amazing story line for a television show. You can find Buried by Butter Cups in the Kindle App section of Amazon.ca by clicking here. 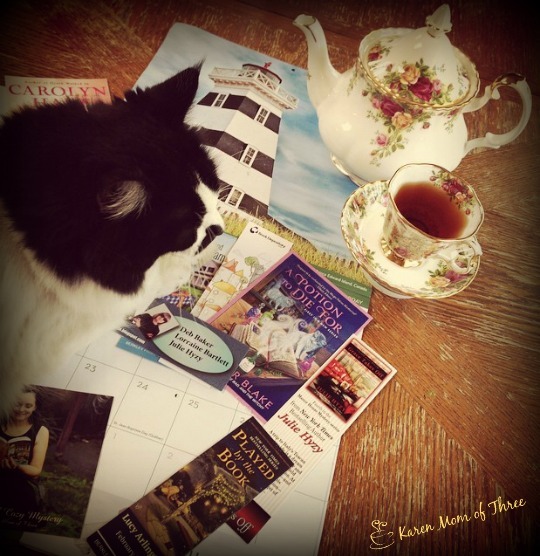 Thank you for joining me for A Cup of tea, And a Cozy Botany Mystery. I look forward to sharing with you again soon. I have to tell you just how excited I am about Peaches and Scream a new cozy series by Susan Furlong. Call me a sucker for a southern cozy if you will but even the title had me grinning from ear to ear! 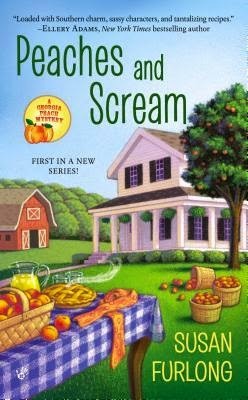 Out this July Peaches and Scream is the first in the A Georgia Peach Mystery series, the story centers around the reluctant return of main character Nola Mae to her family peach farm to help while her parents go on a 50th anniversary trip. Nola Mae finds a dead party guest in the orchard the morning after the party, long after her parents have left on their cruise and with incriminating evidence that puts her own family under suspicion. 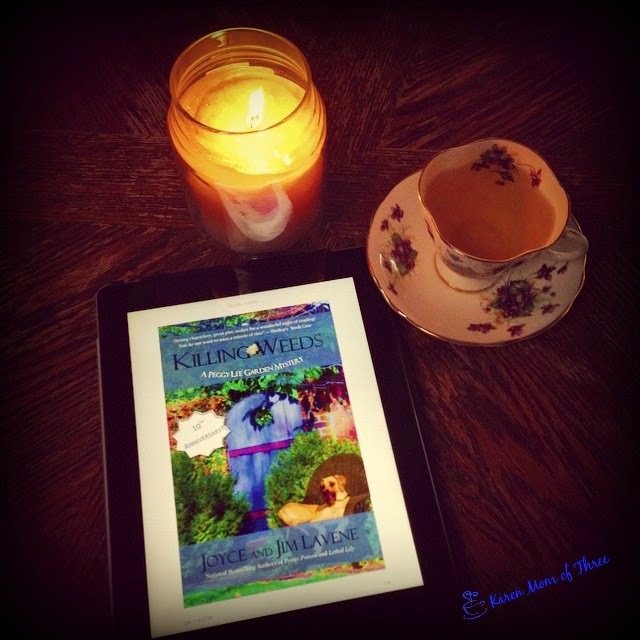 With the help of her brother, child hood friends and the last person on the planet she wanted to see on her return to Cays Mill, Georgia, Nola Mae must fight to clear her family name and save her family farm. This wonderful series is going to have you humming "Georgia on my mind" and have your mouth watering to try the 5 peach inspired recipes included in the back of the book! 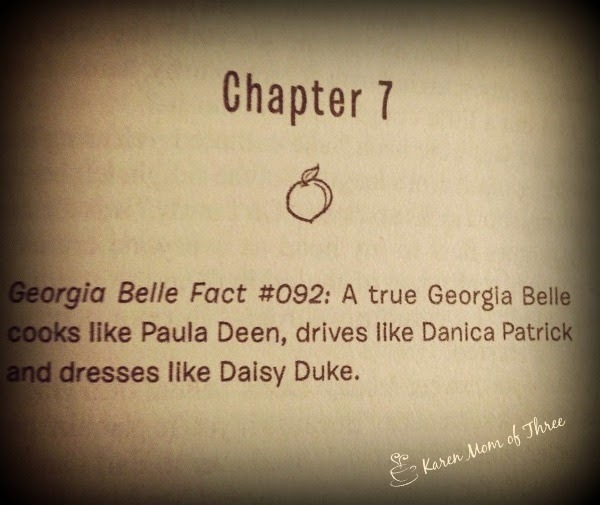 I got 2 out of 3 to be a Georgia Belle but forgive me for not putting on Daisy Dukes! 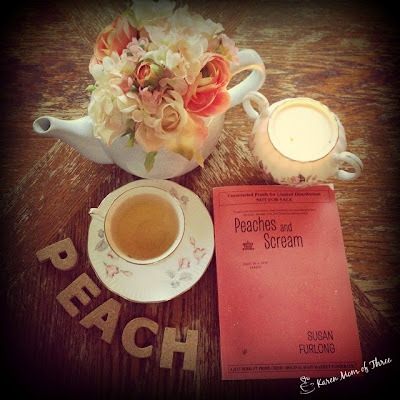 I highly recommend you order Peaches and Scream. You can order it from the Book Depository (Always free shipping which is why I order from them) by clicking here. 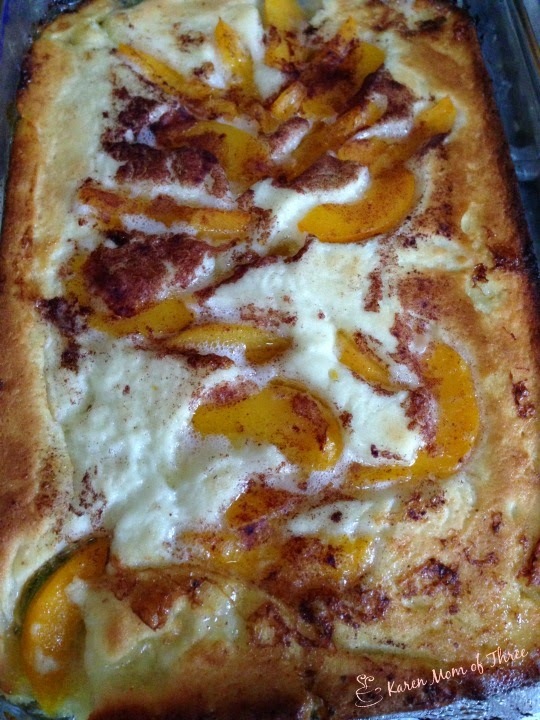 Peach Cobbler Anyone? By far this is my most favorite summer time dessert. I have and do make it year round but when peaches are in season this can not be beat! I belong to a mail swapping group called Swap-Bot which has provided me with years of entertainment and some amazing recipes. 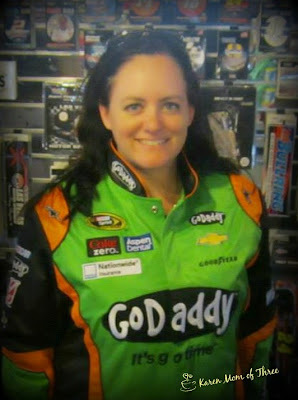 Today I share one I got in 2009 and quickly added to my favorites pile! The original recipe came to me from a swap partner I had named Jenna83. Thanks to Jenna my family and friends have enjoyed this recipe so many times. Place your butter in your 9X13 baking dish and place it in the oven to melt. In a medium bowl place your flour and sugar, us a spatula to mix them together and then add your milk. Stir until a smooth batter forms. Next remove your melted butter filled pan from the oven and pour the batter over it. DO NOT STIR. 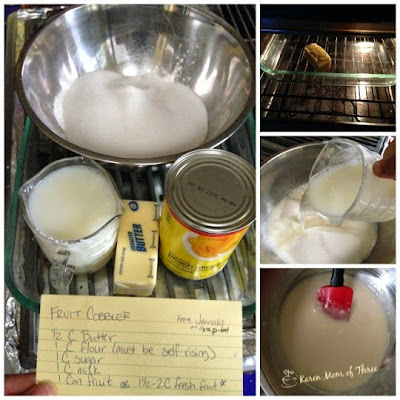 If using canned peaches use your can opener and pour the entire can and syrup over the batter. DO NOT STIR. 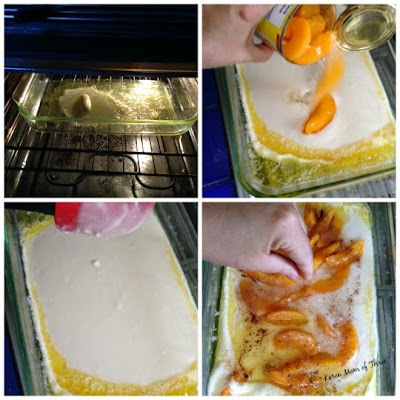 Sprinkle cinnamon over the peaches and place in in the oven until it is lightly browned about 50-60 minutes. I don't serve mine with ice-cream as suggested by my friend Jenna83 as I find with the syrup and sugar it is sweet enough! 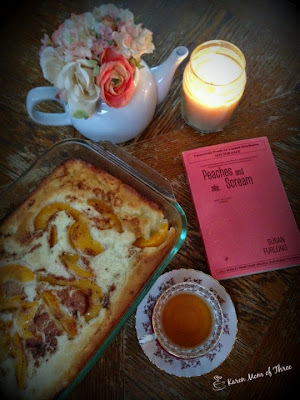 My tea suggestion if you love the taste of peach cobbler and wish to compliment it or if you are looking for a wonderful peach tea is Steeped Tea's Fuzzy Peaches. This is one of my most favorite black Steeped Tea's. On days where I feel like peach cobbler but don't want to turn on the oven this tea is the next best thing. 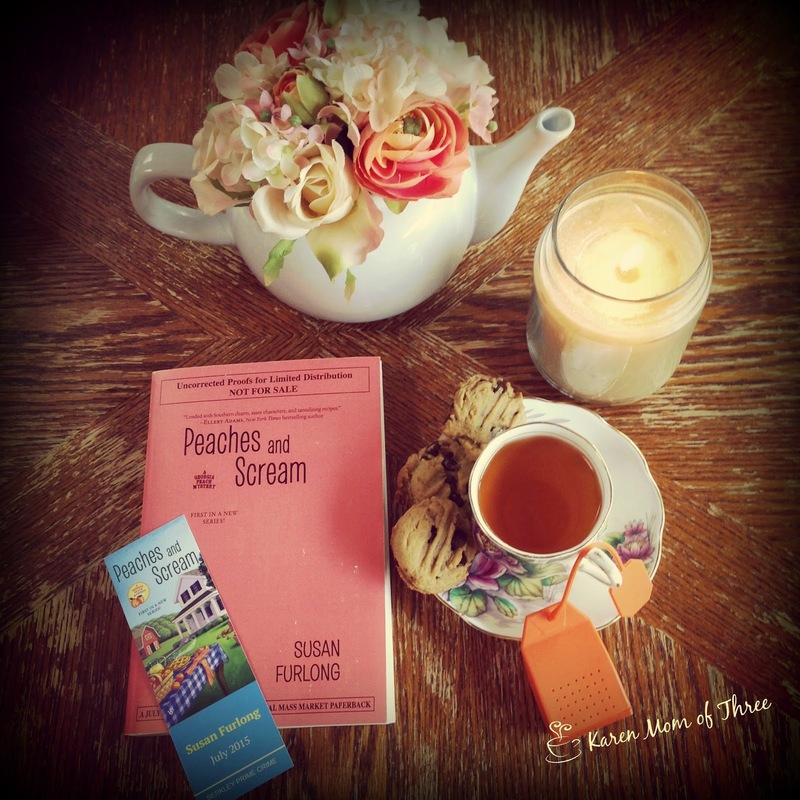 Click here to find out more about Fuzzy Peaches Tea from Steeped Tea. Susan Furlong's Peaches and Scream comes out July 5th you can order your copy now from The Book Depository (always free shipping) by clicking here. 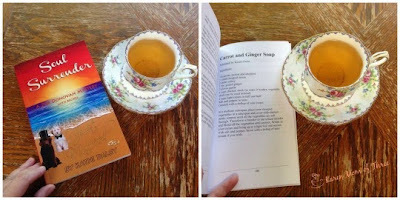 May Cup Of Tea and Bookmark Give Away!